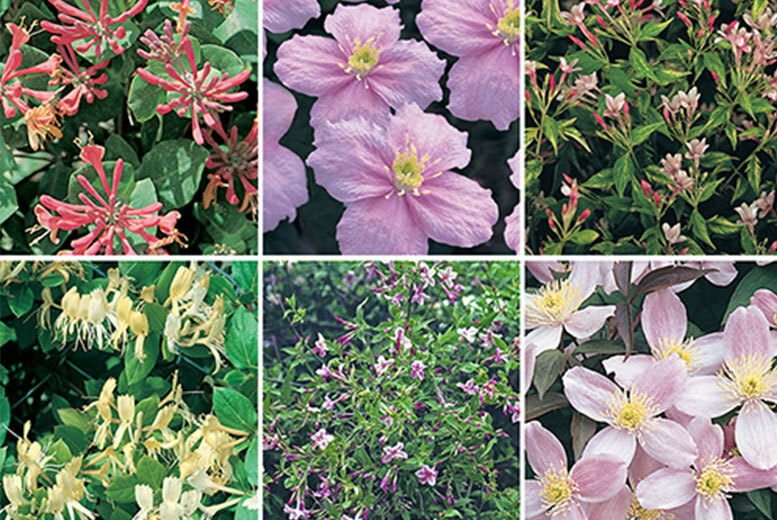 Get a collection of six or 12 climbing plants. Including two honeysuckles, two jasmine plants and two clematis. Add a sweet and summery fragrance. Hardy plants that climb upwards. Brilliant for disguising undesirable parts of your garden. Supplied as jumbo plugs (2.5-3.5cm diameter).